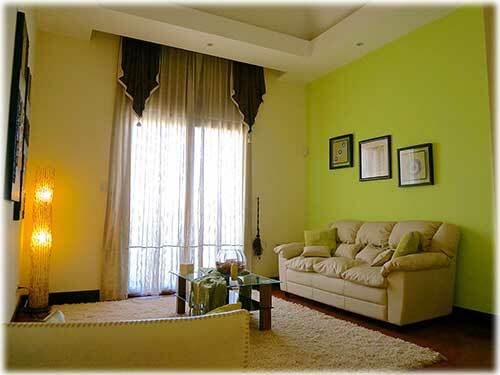 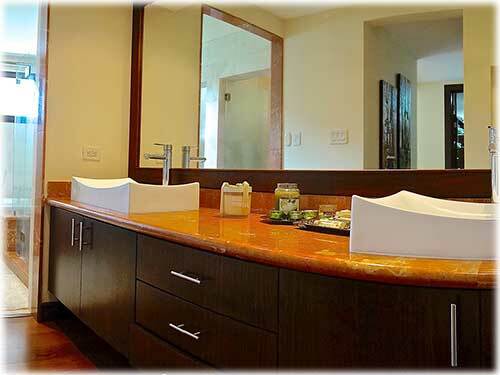 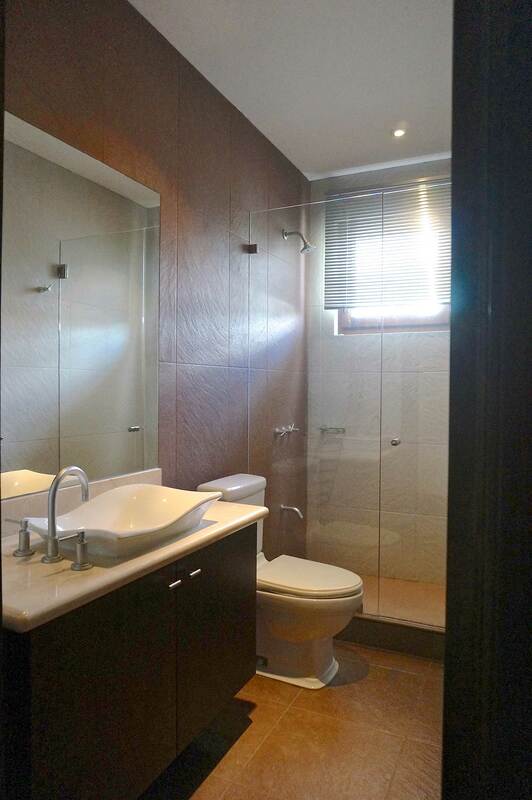 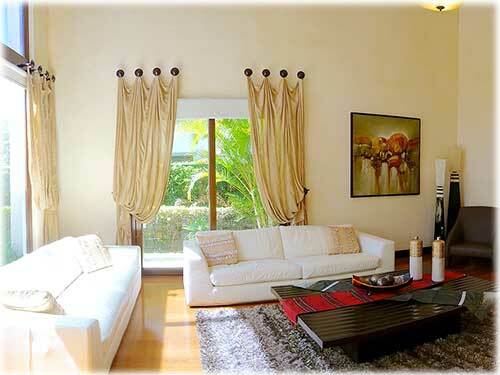 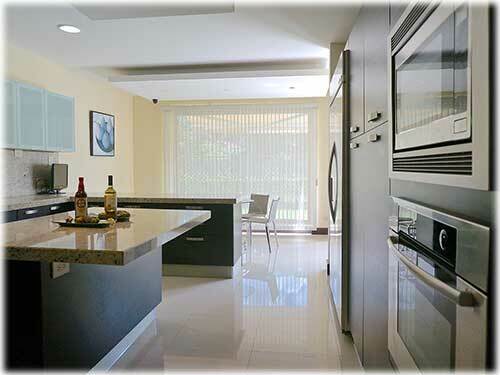 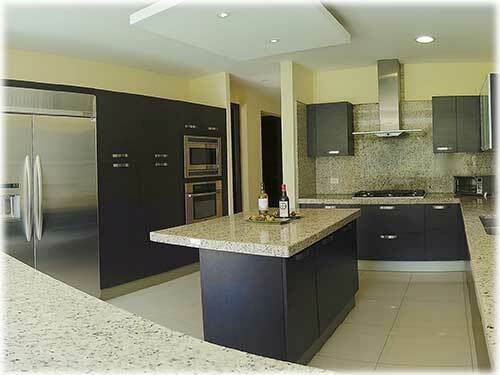 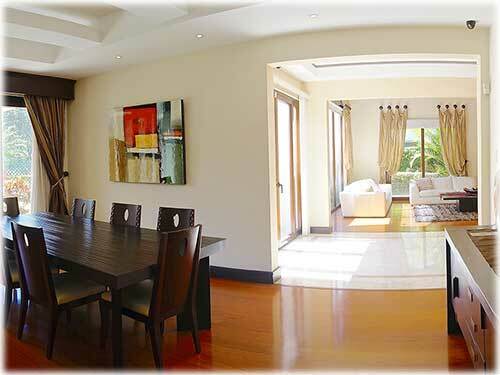 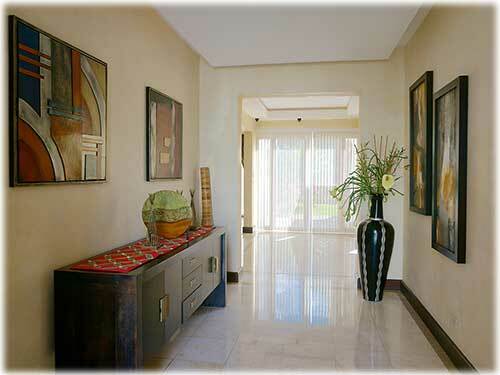 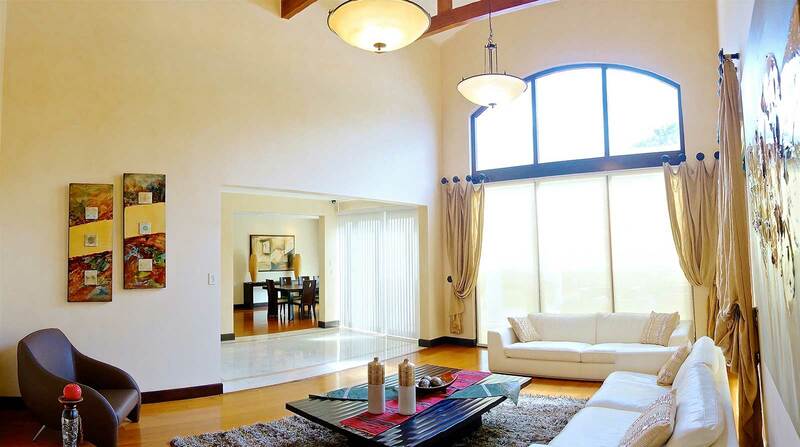 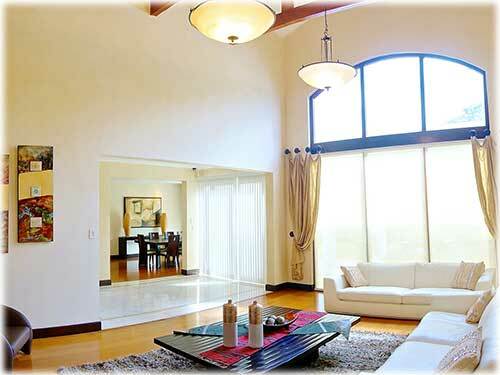 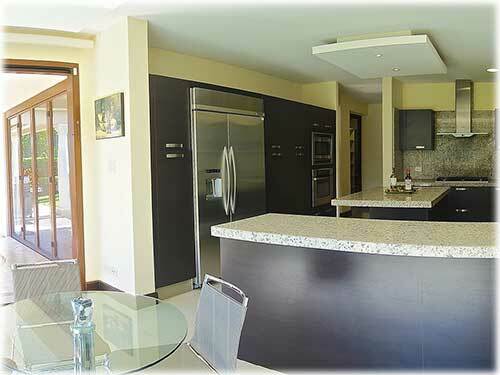 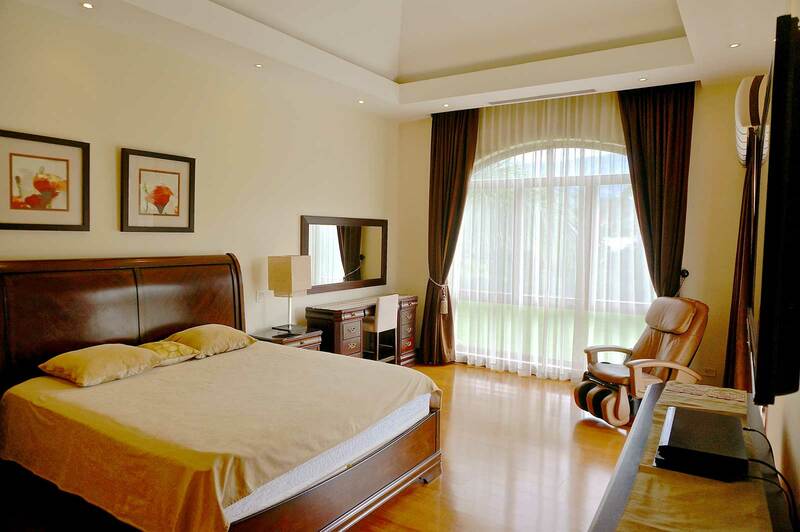 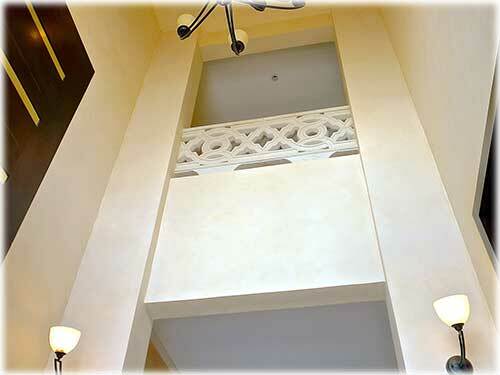 Renown and Awarded Architect carefully designed and supervised every detail of this outstanding residence. 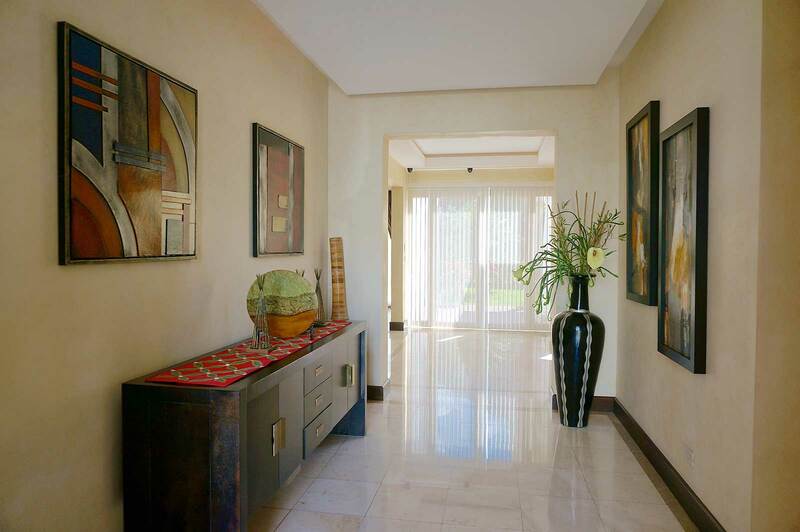 An eclectic contemporary interior combined with Mediterranean exterior accents blend beautifully with its landscape and privileged mountain views. From its location in a prime section of the exclusive Hacienda del Sol community to the special mix of luxury finishes, everything in this spacious home was purposely planned and methodically selected. 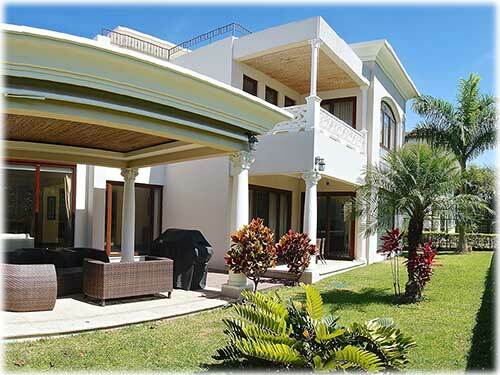 The outcome is -as originally envisioned- a very comfortable, pleasant and rewarding lifestyle experience! 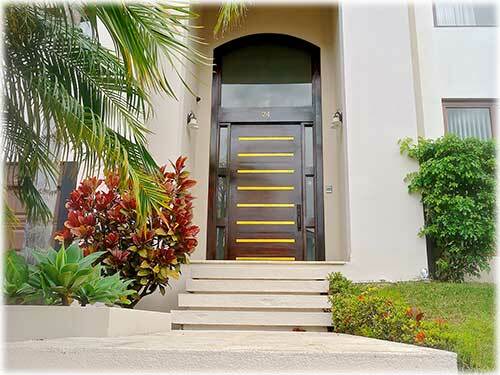 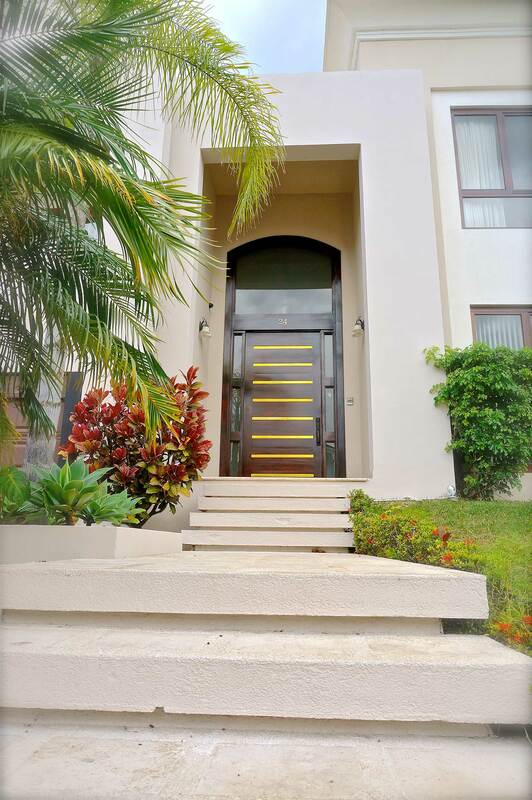 Coming through the impressive main door, instantly you start noticing the amazing details this house features. 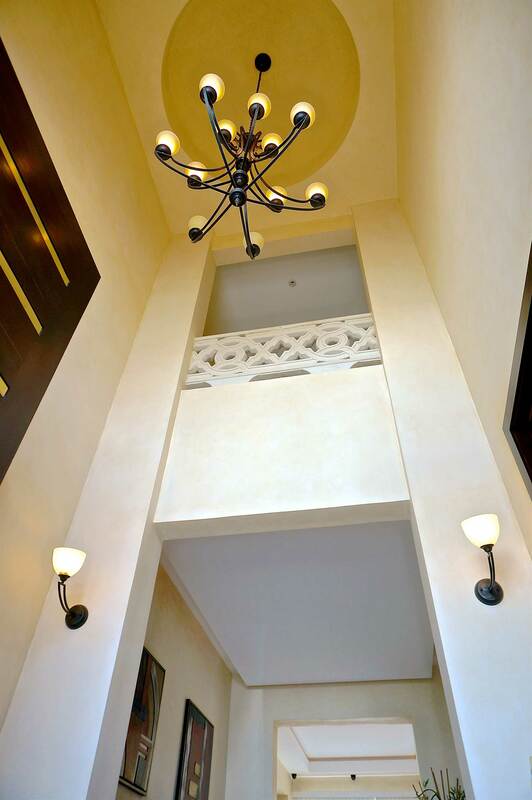 Right by the entrance, an impressive triple height coffer adorned with a chandelier welcomes you into the social areas of the house, a sober office on the right next to an elegant visitors half bathroom, then a dramatic double height vaulted ceiling on the living room and floor to top windows bringing abundant light and peaceful views to the mountains and gardens. 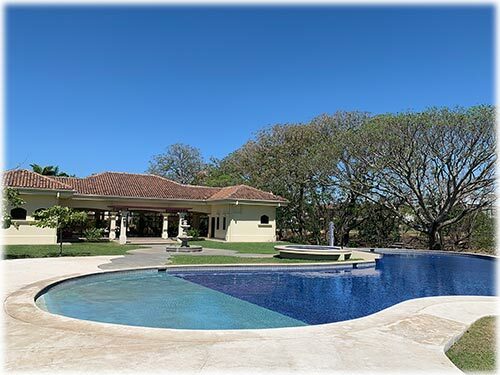 Next to it is the formal dining room embellished with modern vaulted ceilings and with folding doors that connect to a multi-sectioned terrace conceive for enjoying different ambiances and the lovely sunny weather of Santa Ana. 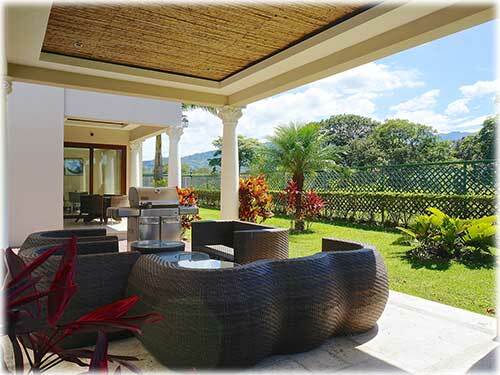 The spacious terrace was designed as a gazebo with large seating areas and a BBQ grill to feed your guests on the weekends! 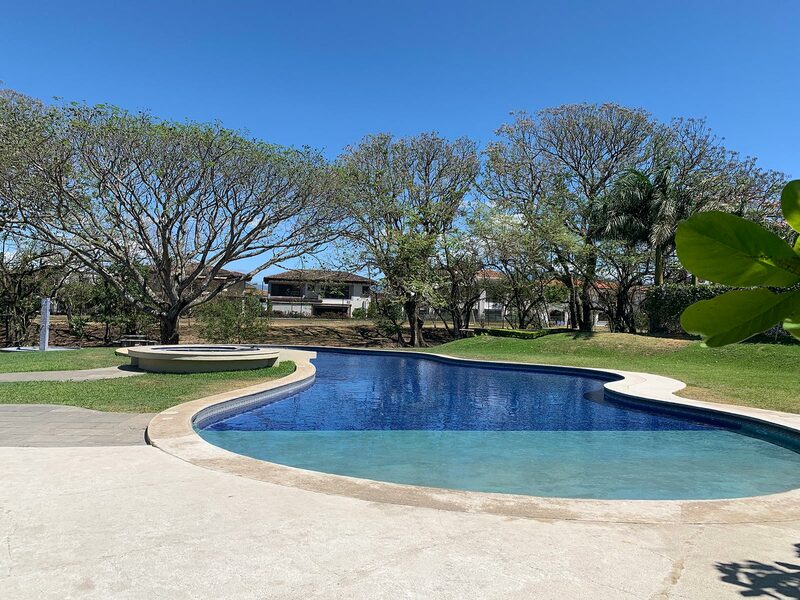 A few steps on the garden you can find a back door that leads the green areas as well as the Clubhouse, Swimming pool and tennis court of the compound. 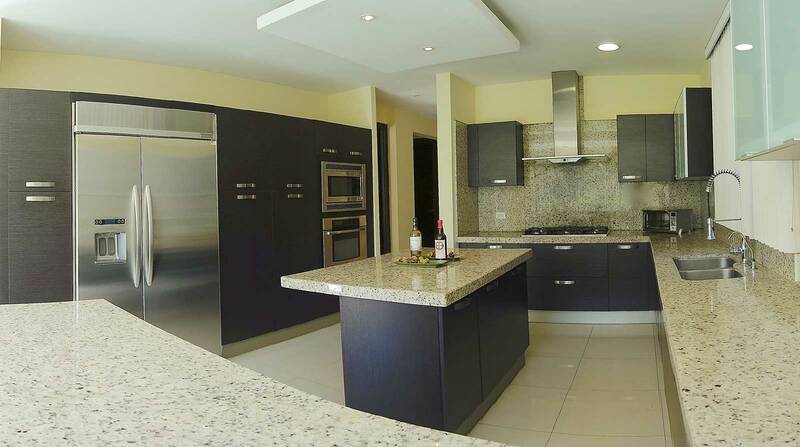 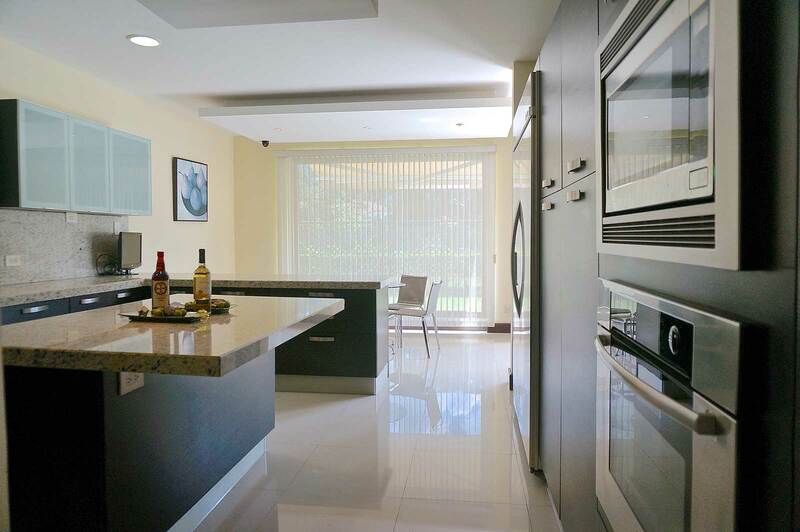 The wide modern kitchen comes fully equipped with stainless steel appliances, gas burners, dishwasher, large refrigerator, electric oven, microwave, and a large pantry. 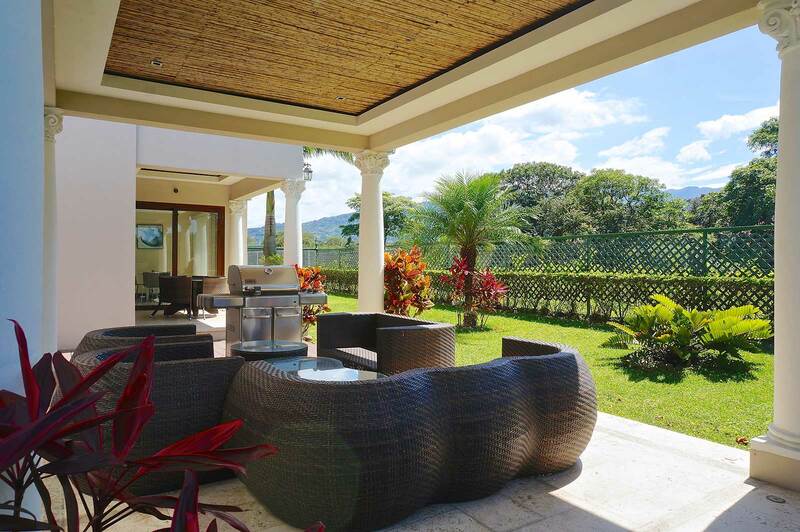 Large windows overlooking the mountains and trees bring natural illumination to the kitchen and a great breakfast area that opens up to an outside eating section of the terrace, ideal for morning coffee and brunch! 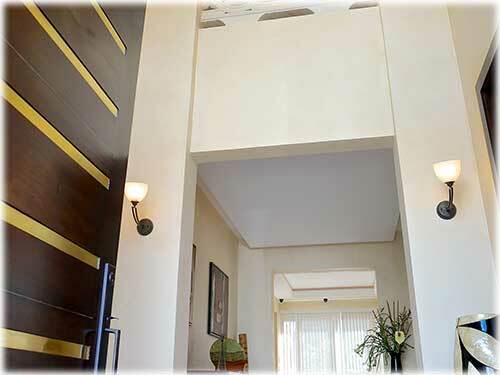 One level up there is a cozy TV lounge next to a large guest bedroom and a full bathroom in the middle serving both naturally. 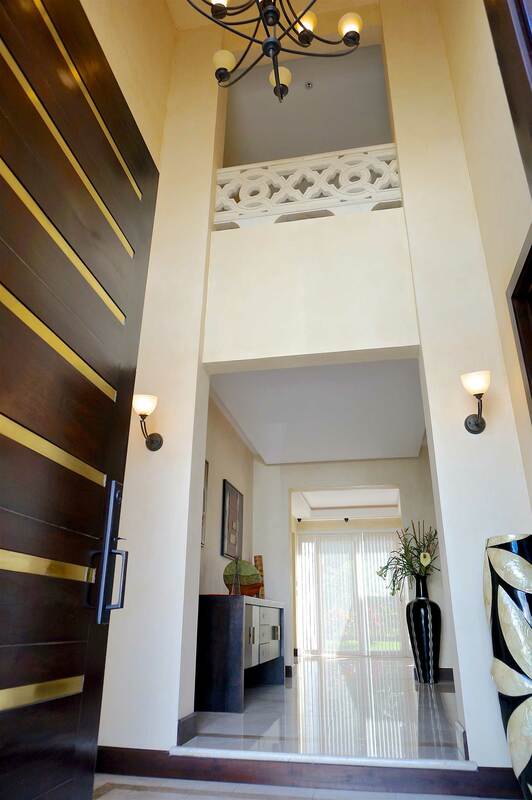 Just a few stairs take you to the private family level which consists of three bedrooms each with ensuite bathrooms and walk-in-closets. 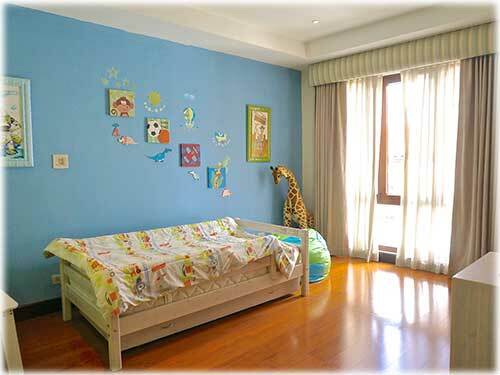 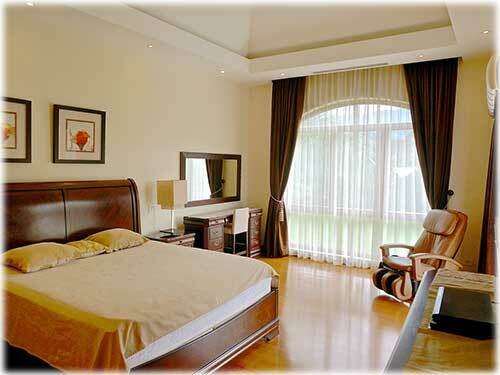 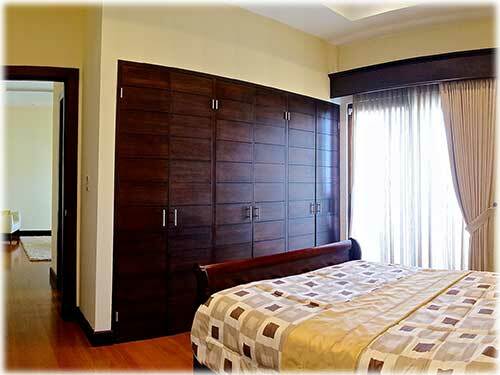 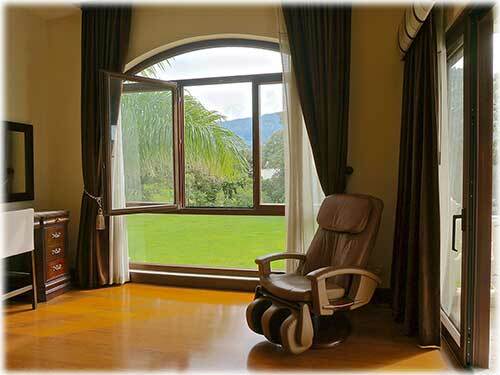 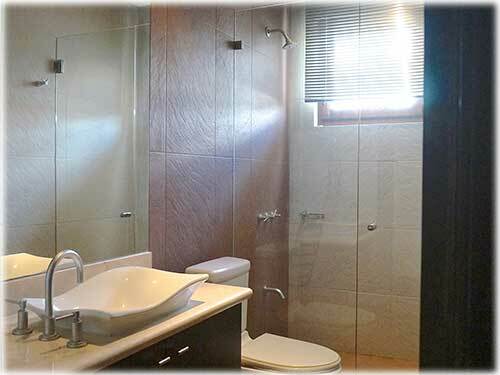 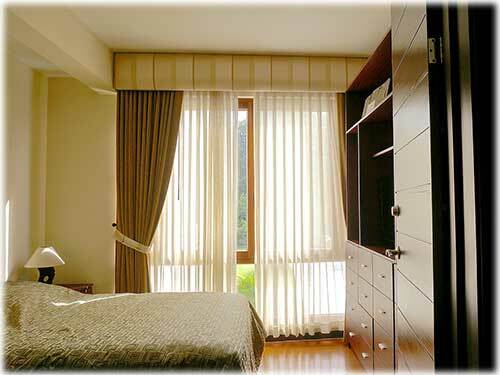 A small room, which can be used as a studio and presently enabled as a bedroom is also located on this level. 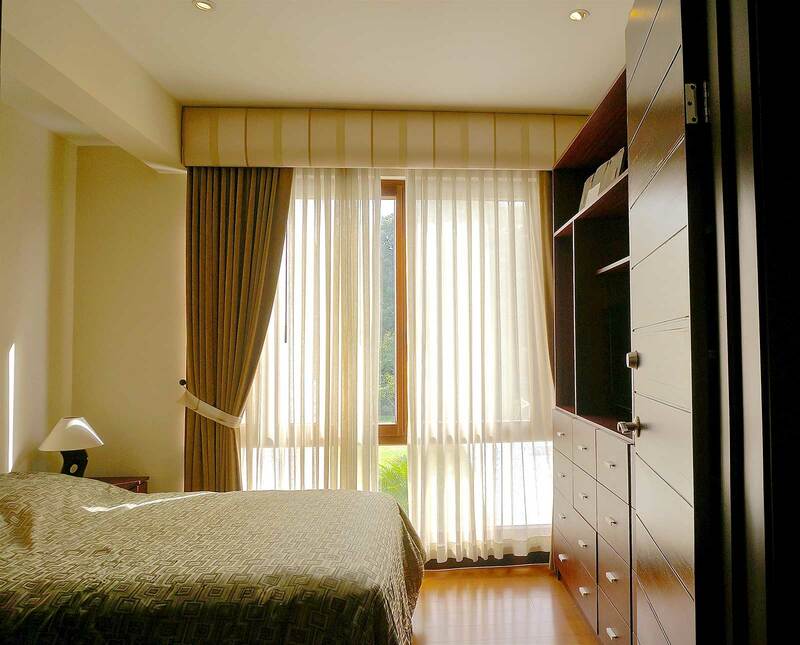 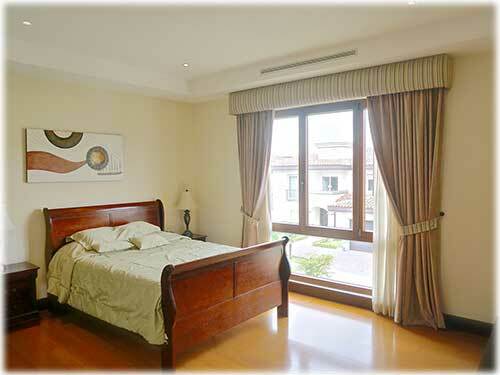 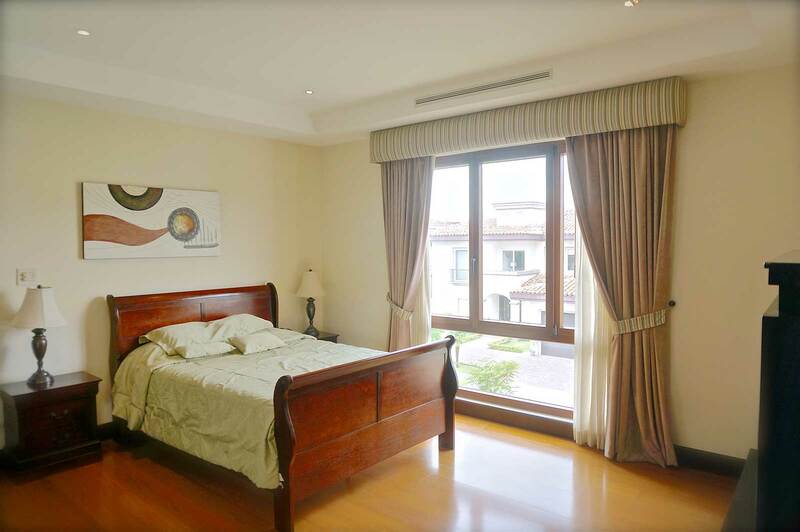 All bedrooms are equipped with air conditioning! 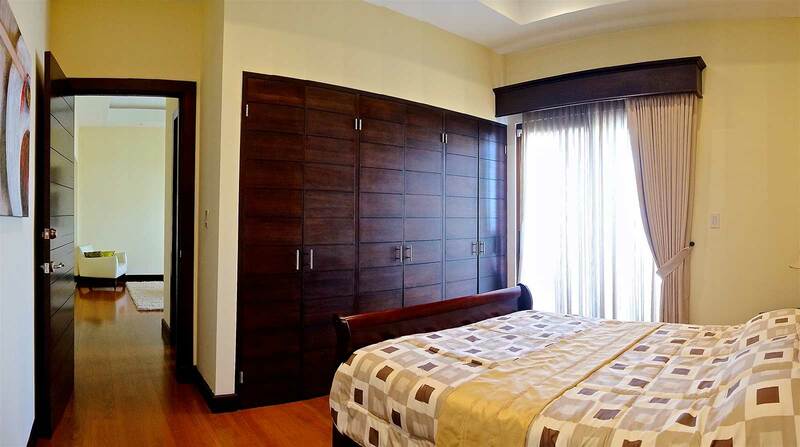 The Master Bedroom is very spacious with a large walk-in closet and a lavish master bathroom with Jacuzzi , steam room and shower! 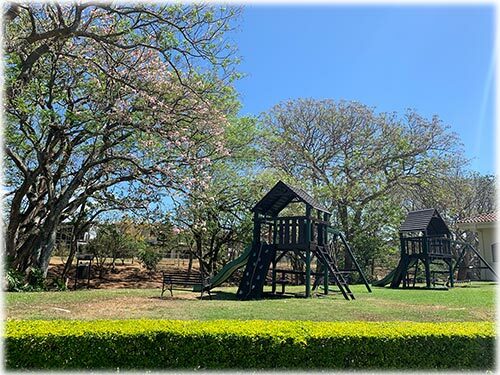 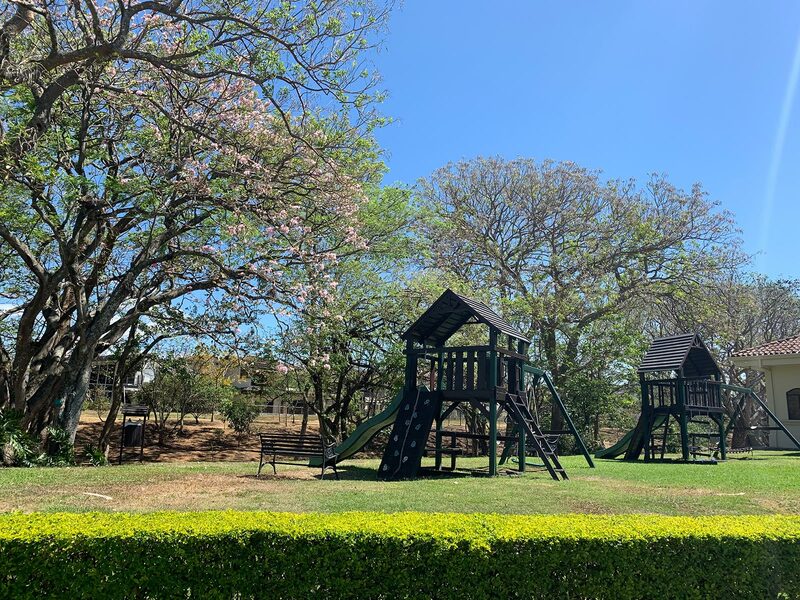 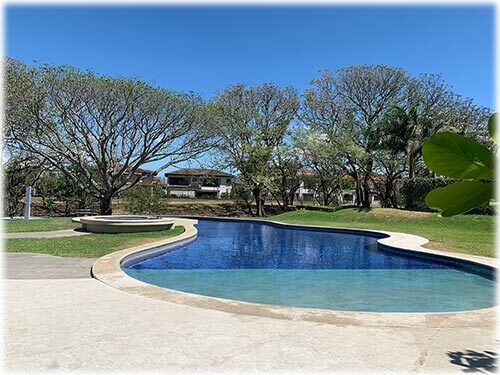 It has it's own private panoramic terrace from which you can enjoy the magnificent vistas of Santa Ana mountains, the windmills and the compound's green area filled with mature trees at the back of the house. 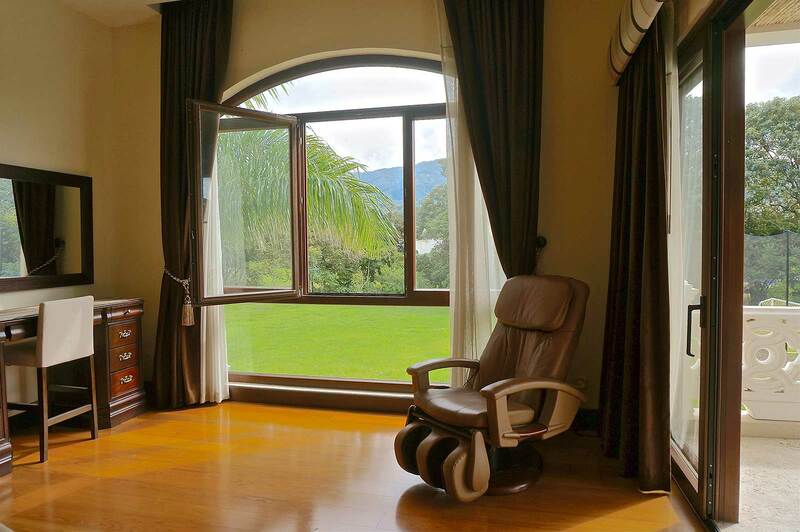 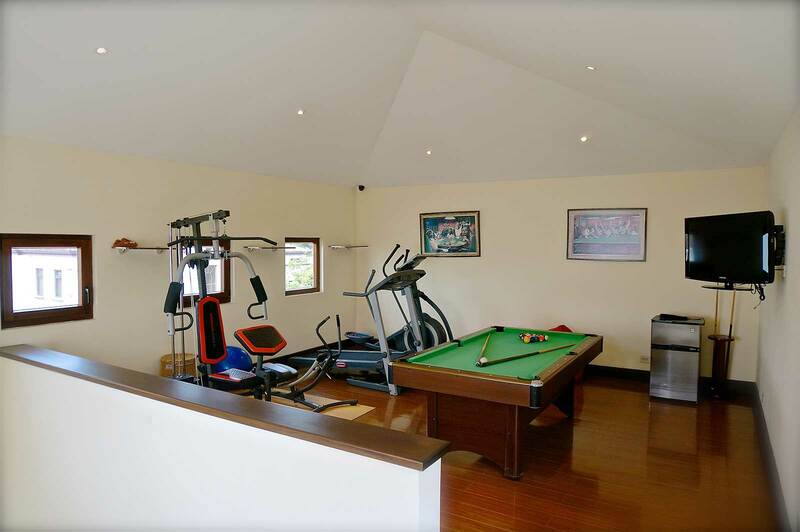 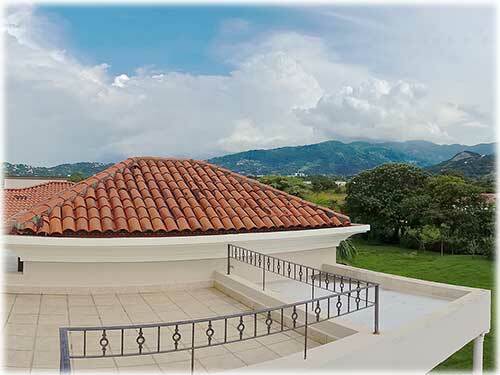 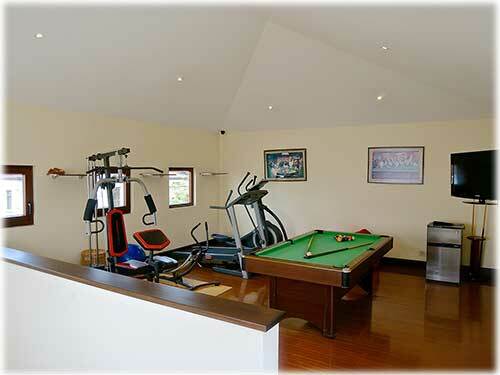 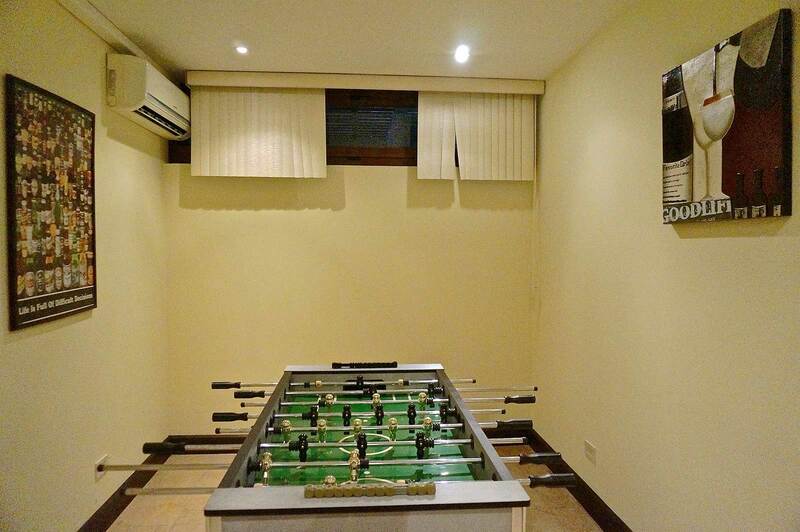 An independent gym equipped with exercise machines, as well as a pool table to enjoy with family and friends is conveniently located next to an astonishing 360º view Roof - Terrace from which you can enjoy inspiring sunrises as well as extraordinary sunsets and views to the mountains of Santa Ana, Heredia, and Alajuela! 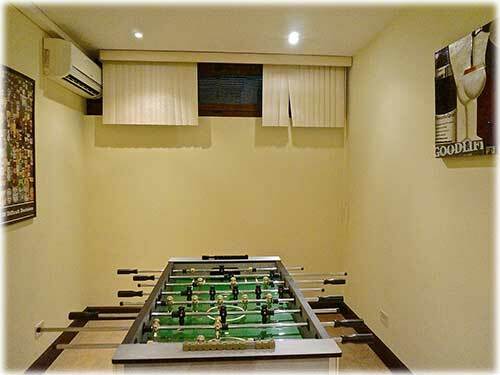 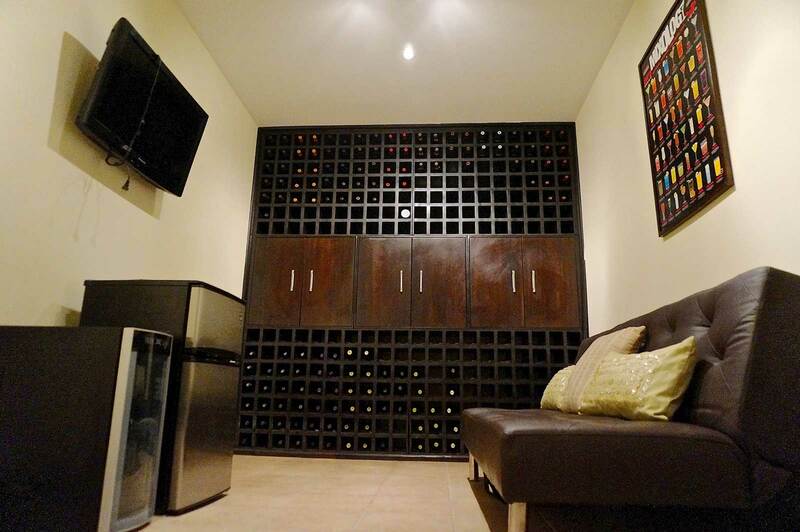 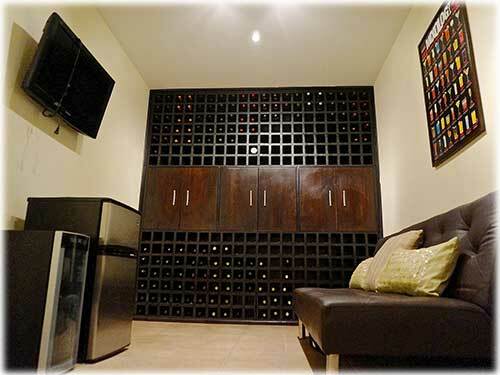 Additionally, the house has an entertainment area with a movie theater, a game room, and a wine cellar. 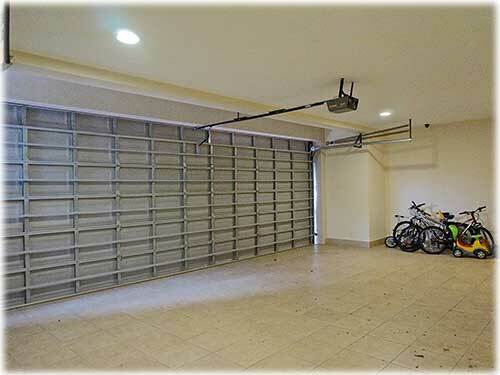 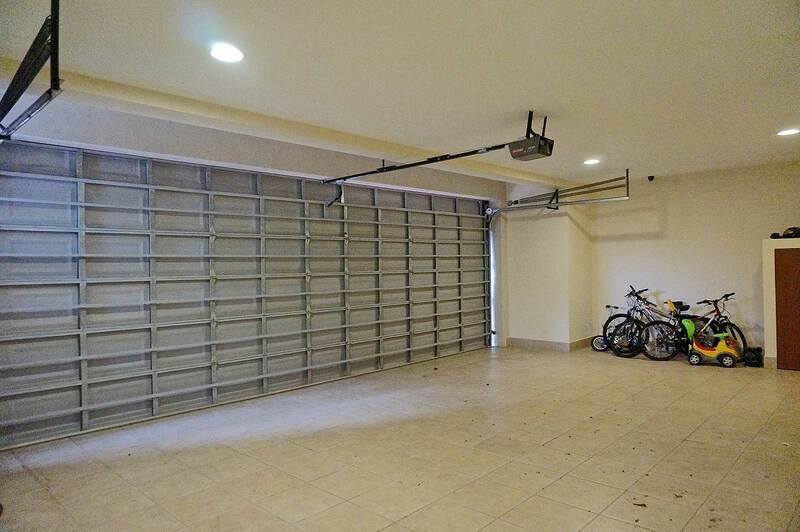 It is worth to mention that the garage has a capacity for 3 vehicles under roof and there is an equal parking space outside. 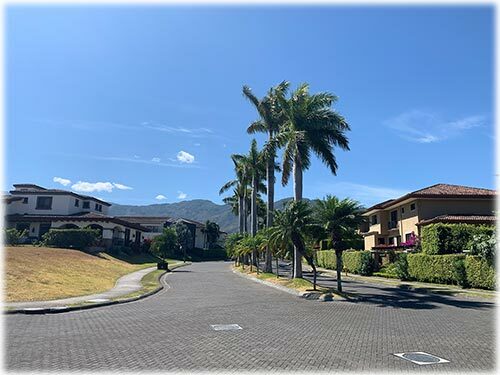 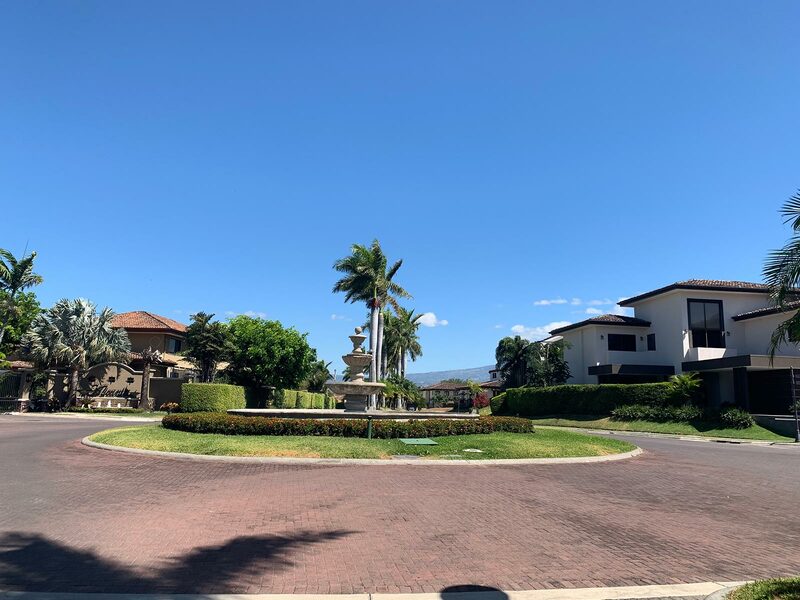 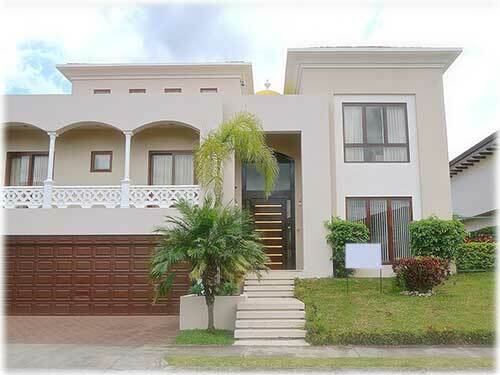 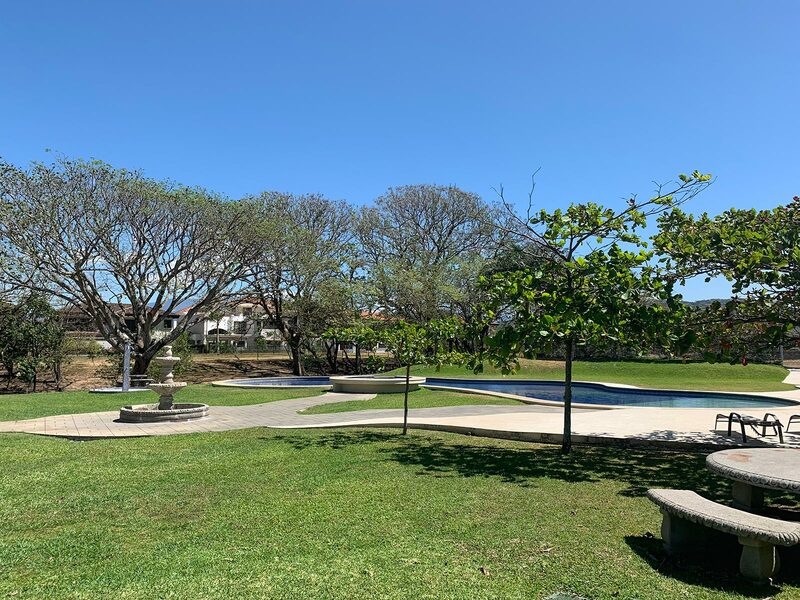 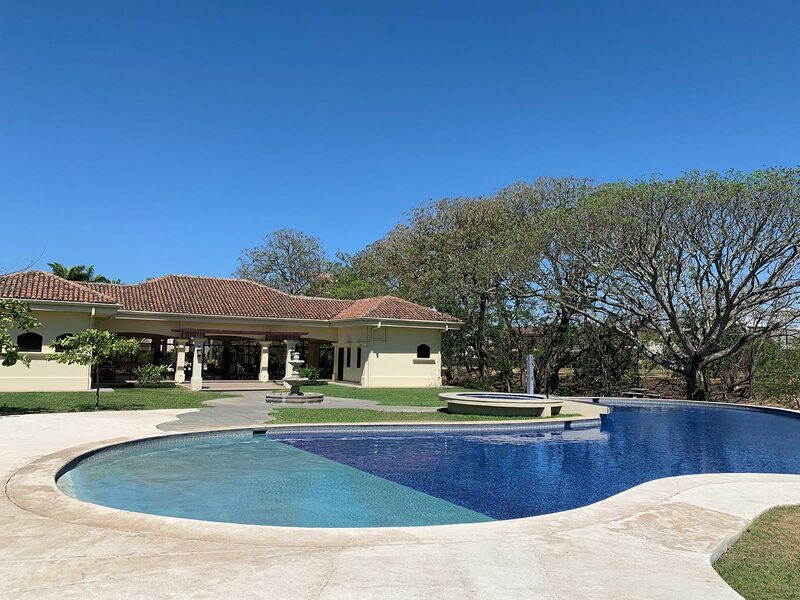 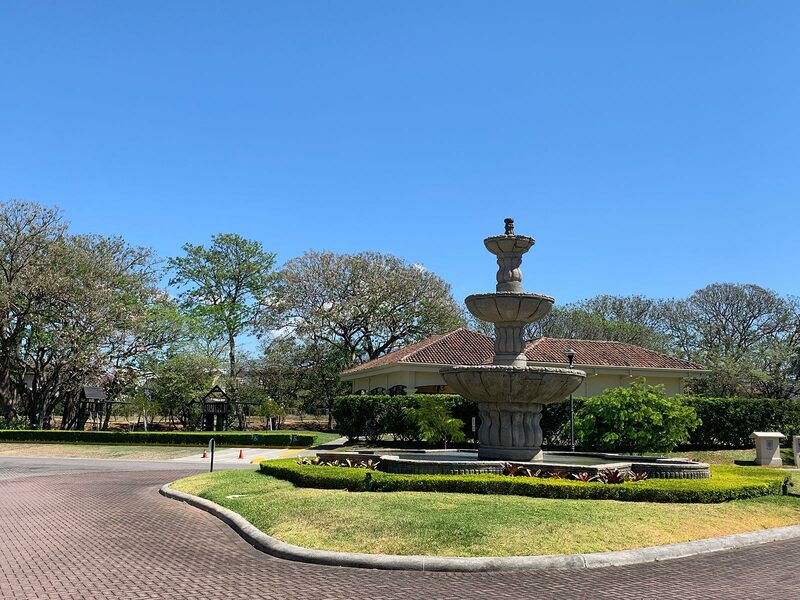 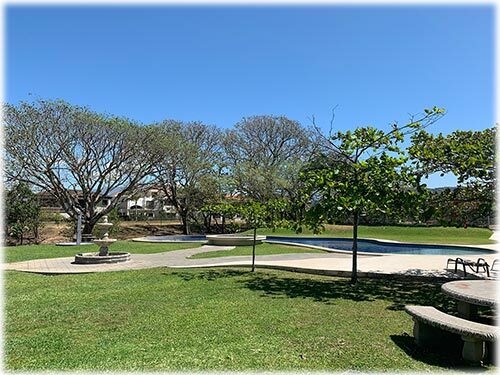 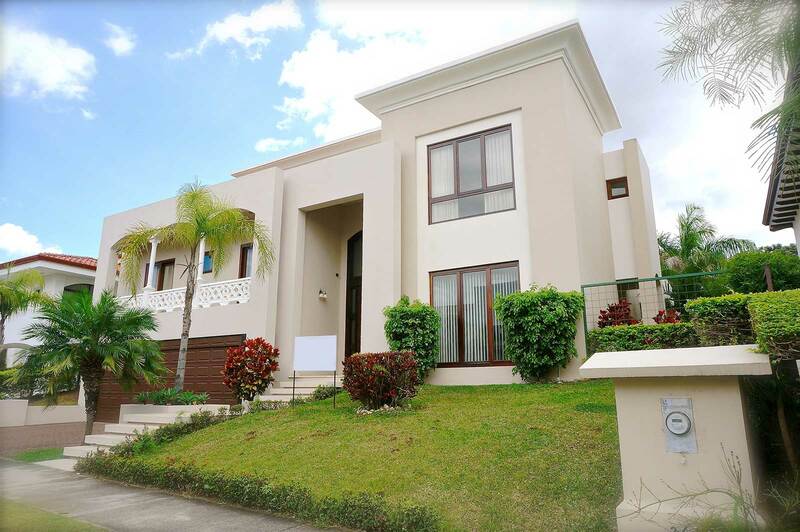 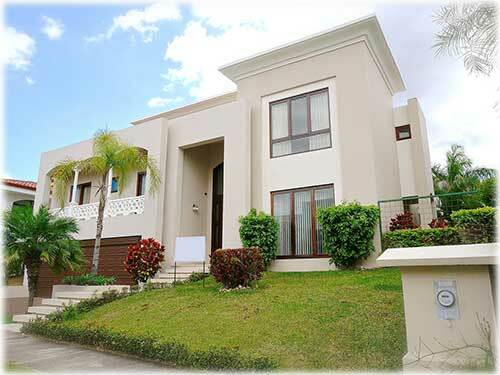 Hacienda del Sol is strategically located with direct access to Route 27, across from PriceSmart Rio Oro, just minutes from Terrazas de Lindora Mall City Place Mall and Multiplaza Escazú. 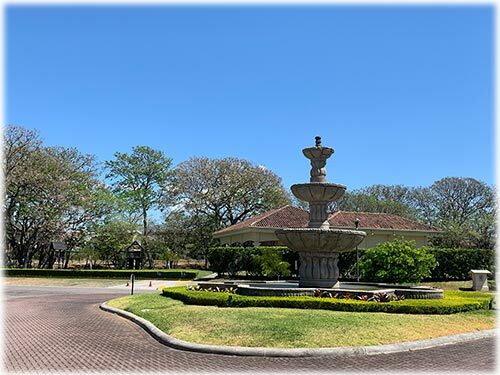 It is also nearby the best medical centers of the country: Hospital Cima, Hospital Clínica Bíblica and Hospital Metropolitano. 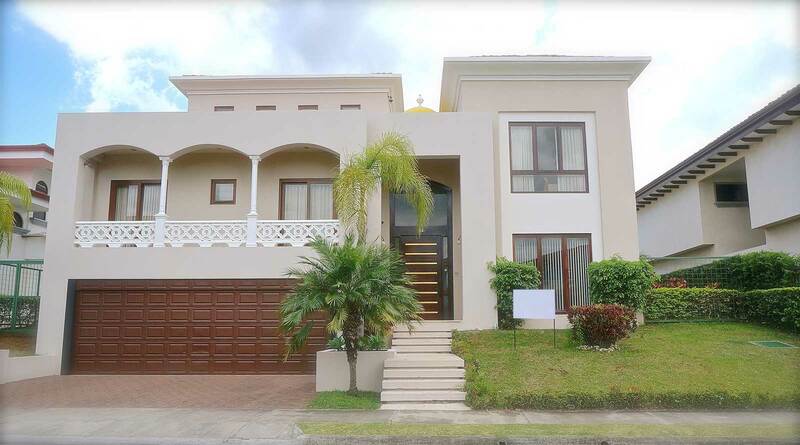 Contact today for a private showing!